Our Alabama Expungement Law Offices have successfully obtained court orders for expungements (clearing) of many clients’ DUI arrest records in Alabama. If you have previously received a DUI anywhere in the State of Alabama and your DUI case resulted in a non-conviction (dismissed or finding of not guilty) your case may be eligible to petition the proper court for an order to expunge (or clear) your arrest record. A prior DUI arrest that was dismissed in Alabama will remain on your arrest record unless you have it expunged by the proper court. We talk to potential clients very often that had a prior DUI charge “dropped” or dismissed – only to find out later after their employer pulled a criminal background check on them that the record from the DUI arrest was still on the criminal record. Your DUI charge in Alabama may have been dismissed due to you successfully completing a court referral/pre-trial diversion program or maybe it was dismissed for a lack of evidence. However, unless you successfully have your DUI arrest record expunged by the proper court in Alabama, the fact that you were arrested for DUI will remain on your criminal history record. Our law office represents people from all over the country that have previously received a DUI in Alabama that resulted in a non-conviction and are now seeking to obtain an expungement (clearing) of their arrest record. Alabama Expungement Lawyer, Jordan M. Copeland represents clients through the entire expungement process in Alabama. An in-office appointment is welcome, but not necessary to retain us for your Alabama expungement. Also, in most cases, a court appearance will not be required. 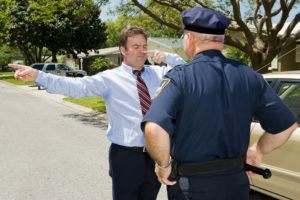 Don’t let a prior DUI charge in Alabama that was dismissed remain as an arrest record on your criminal history report. Exercise your legal right in Alabama to retain our law office to seek an expungement of your prior DUI arrest in Alabama. Many people are still unaware that the Alabama expungement law became effective in 2014. If you have a prior DUI arrest in Alabama and the result of your case was a non-conviction (dismissal, finding of not guilty, etc). unless you petition for an Expungement of the DUI in Alabama your record of arrest will remain on your criminal history. A prior arrest record for a DUI in Alabama that has not been expunged could have a negative impact on your future opportunities with your: job, career, education, credit offers, housing, insurance, among others. Contact the Alabama DUI Expungement and Pardon Law Offices of Jordan M. Copeland to find out if your Alabama DUI arrest record is eligible to retain us to represent you for an expungement. Email: Jordan@ExpungementAlabamaLawyer.com or Phones: (205) 924-3839 or (256) 378-6087 or (251) 545-3637.